NASA spokesperson [Brandi Dean] summarized it succinctly: “Confirming again that today’s Soyuz MS10 launch did go into ballistic re-entry mode … That means the crew will not be going to the ISS today. Instead they will be taking a sharp landing, coming back to earth”. While nobody likes last-minute changes in plans, we imagine that goes double for astronauts. On the other hand, it’s always good news when we are able to joke about a flight that starts off with a booster separation problem. Astronauts [Nick Hague] and [Aleksey Ovchinin] were on their way this morning to the International Space Station, but only made it as far as the middle of Kazakhstan. Almost as soon as the problem occurred, the rocket was re-pathed and a rescue team was sent out to meet them. Just an hour and a half after launch, they were on-site and pulled the pair out of the capsule unharmed. Roscosmos has already commissioned a report to look into the event. In short, all of the contingency plans look like they went to plan. We’ll have to wait and see what went wrong. Watching the video (embedded below) the only obvious sign that anyone got excited is the simultaneous interpreter stumbling a bit when she has to translate [Aleksey] saying “emergency… failure of the booster separation”. Indeed, he reported everything so calmly that the NASA commentator didn’t even catch on for a few seconds. If you want to know what it’s like to remain cool under pressure, have a listen. Going to space today is still a risky business, but thankfully lacks the danger factor that it once had. For instance, a Soyuz rocket hasn’t had an issue like this since 1975. Apollo 12 was hit by lightning and temporarily lost its navigation computer, but only the truly close call on Apollo 13 was made into a Hollywood Blockbuster. Still, it’s worth pausing a minute or two to think of the people up there floating around. Or maybe even sneak out and catch a glimpse when the ISS flies overhead. Octoprint is one of those must-have apps for 3D printers. All you need is a Raspberry Pi, an SD card, and a USB cable, and you can control your 3D printer from anywhere in the house. Of course, some people take it too far and open up their Octoprint to the greater Internet. Gizmodo reports thousands of people are doing so, with possible dire consequences. Choice quotes: “Imagine waking up in the morning to find that your 3D printer was used to produce a gun” and “Once again, 3D guns come to mind”. Yes, they referenced 3D printed guns twice in a story. Call me when you can 3D print bullets. Or when bioprinters can print airborne HIV, which was also suggested in the story. ARS Electronica is going on in Linz this weekend, and it’s the largest new media art festival where cyber artists are recognized for their innovations. One of the more interesting exhibits is [Sarah Petkus]’ Noodlefeet. Its [Sarah]’s kid, that’s a robot, that’s made out of pool noodles. She’s talked about it at the Hackaday Superconference, and now there’s an entire exhibit behind it. You can check out her ‘making of’ post right here. A mirror is a useful survival tool, if only for signalling people. Here’s a video showing long-distance mirror signalling, over a distance of 27.5 miles. The mirror used was 330 x 254mm, but the real challenge here is pointing the mirror in the right direction. For that, [Andy] used a bamboo pole a few meters in front of the mirror. By reflecting sunlight onto the pole, he knew it was going in about the right direction. Accuracy versus precision, or something like that. Last week, a slow leak was detected aboard the International Space Station. The leak was quickly traced to a 2mm hole in the upper orbital module of a visiting Soyuz spacecraft. prompting call of micrometeoroid damage and plenty of speculation on what would have happened if this hole appeared anywhere else on the station. Now, it looks like this hole was put there by a drill, probably during assembly or testing, and was somehow plugged until the Soyuz was in space for a few weeks. Why this hole just magically appeared one night is anyone’s guess, but there you go. No one loves a good competition more than Hackaday. We run enough to keep anyone busy. But if you have a little spare time after designing your one inch PCB, you might check out the competition to develop a robotic arm for NASA’s Astrobee robot. Some of the challenges are already closed, but there are quite a few still open for a few more months (despite the published closing date of and these look like great projects for a hacker. In particular, the software architecture and command, data, and power system are yet to start. But don’t let the $25,000 fool you. That’s spread out over a number of awards for the entire series. Each task has an award that ranges from $250 to $5,000. However, you also have to win that award, of course. 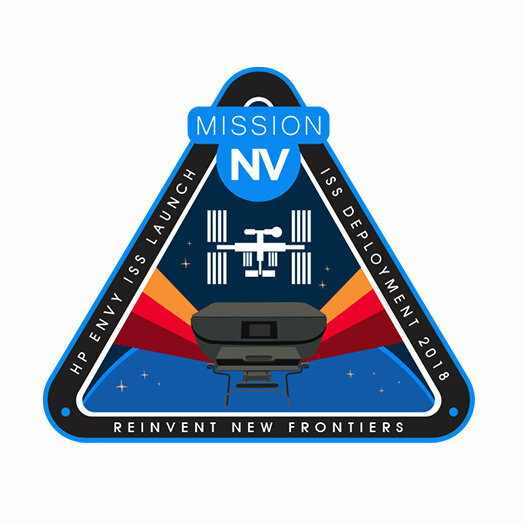 If you register, however, you do get a sticker that has flown on the space station. If you haven’t seen Astrobee, it is a flying robot made to assist astronauts and cosmonauts on the International Space Station. The robot is really a floating sensor platform that can do some autonomous tasks but can also act as a telepresence robot for flight controllers. You might enjoy the second video below if you haven’t seen Astrobee, before. We covered the Astrobee before. If you’d like to visit the space station yourself, it isn’t quite telepresence, but Google can help you out. The International Space Station is one of our leading frontiers of science and engineering, but it’s easy to forget that an exotic orbiting laboratory has basic needs shared with every terrestrial workplace. This includes humble office equipment like a printer. (The ink-on-paper kind.) And if you thought your office IT is slow to update their list of approved equipment, consider the standard issue NASA space printer draws from a stock of modified Epson Stylus 800s first flown on a space shuttle almost twenty years ago. HP signed on to provide a replacement, partnering with Simplexity who outlined their work as a case study upgrading HP’s OfficeJet 5740 design into the HP Envy ISS. Simplexity provided more engineering detail than HP’s less technical page. Core parts of inkjet printing are already well suited for space and required no modification. Their low power consumption is valued when all power comes from solar panels, and ink flow is already controlled via methods independent of gravity. Most of the engineering work focused on paper handling in zero gravity, similar to the work necessary for its Epson predecessor. To verify gravity-independent operation on earth, Simplexity started by mounting their test units upside-down and worked their way up to testing in the cabin of an aircraft in free fall. CollectSpace has a writeup with details outside Simplexity’s scope, covering why ISS needs a printer plus additional modifications made in the interest of crew safety. Standard injection-molded plastic parts were remade with an even more fire-resistant formulation of plastic. The fax/scanner portion of the device was removed due to concerns around its glass bed. Absorbent mats were attached inside the printer to catch any stray ink droplets. NASA commissioned a production run for 50 printers, the first of which was delivered by SpaceX last week on board their CRS-14 mission. When it wears out, a future resupply mission will deliver its replacement drawn from this stock of space printers. Maybe a new inkjet printer isn’t as exciting as 3D printing in space or exploring space debris cleanup, but it’s still a part of keeping our orbital laboratory running.